After six years of operation, Belu has annouced it has reached a landmark figure – £2m of profit has now been handed over to WaterAid, which provides clean water and sanitation in developing countries. The announcement coincides with World Water Day. The bottled water is one of the poster children for social enterprise. In London at least (where Pioneers Post is based) it’s increasingly common to spot Belu as the bottled water offering in bars and restaurants. Nationwide it is available in bigger chains such as Cafe Rouge and Zizzi. Belu purposely targets the bars and restaurants market rather than general retail outlets. That a social enterprise’s product is becoming as established a brand as some of the major players is encouraging. Belu is yet to make a dent on supermarket shelves though, which Lynch describes as “tougher in terms of margin and dominated by the biggest brands”. Water Aid and Belu are working towards UN Sustainable Development Goal 6: “water and sanitation for all by 2030”. Lynch feels it is achievable, but only by different sectors working together. “We’ve already seen enormous progress as 2.6 billion people have been reached with access to water since 1990. 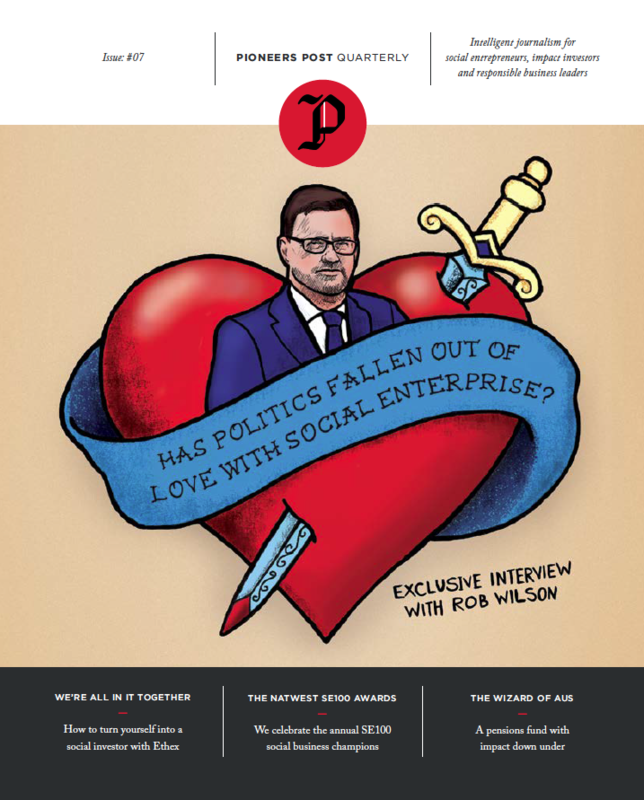 Read more about Karen Lynch and the other SE100 Social Business Awards winners in the latest issue of Pioneers Post Quarterly, out now. When Karen Lynch joined ethical bottled water company Belu in late 2009 as its marketing director, the business was in financial freefall. Pioneers Post spoke to Lynch about how she successfully managed to lead a company undergoing such drastic change in such a short space of time.